Roger Federer has won a legion of fans for his skill, style and sportsmanship. Test your knowledge of the man they call the Swiss Master. 1. 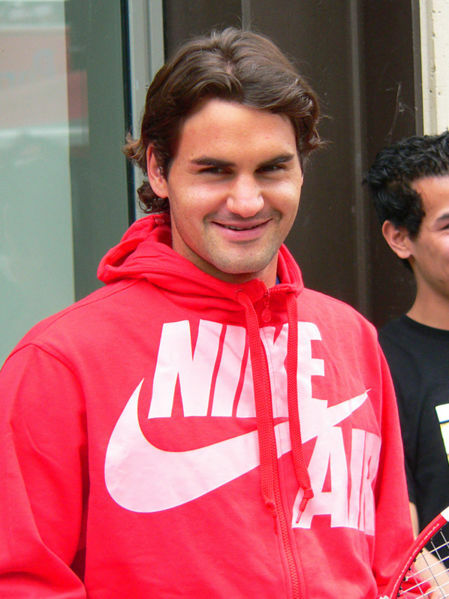 Born in Basel, Switzerland on August 8, 1981, Roger Federer is also a citizen of what country? 2. As of June, 2018 how many Grand Slam titles has Roger Federer won? 3. As of June, 2018 which Grand Slam event has Roger Federer won most? 4. Against which competitor does Federer have the worst win/loss record? 5. What is Roger Federer afraid of? 6. In how many languages is Roger Federer fluent? 7. What is Roger Federer's marital status? 8. How many times has Roger Federer won the Tour Sportsmanship Award? 9. Roger Federer has established a foundation that assists disadvantaged children from what continent? 10. Which of the following is not true of Roger Federer? A. He is the all-time top tennis earner. B. His nickname is the Fed Express. C. He switched major sponsors in 2018. D. He is no different off-court to the person we see playing tennis.